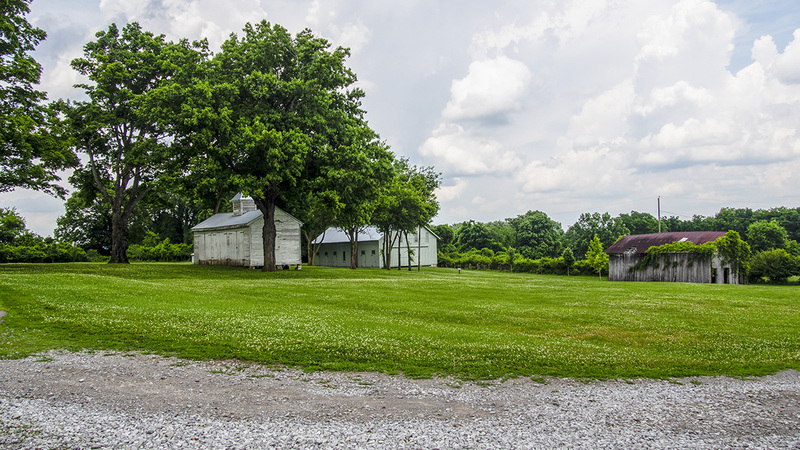 Located on the fertile banks of the Stones River, this expansive property, with its fields of white clover, became the homestead of John Donelson in 1780. Purchased by Captain James Hoggatt in 1791, the estate slowly grew to encompass 1,500 acres, with an antebellum mansion built in 1858. 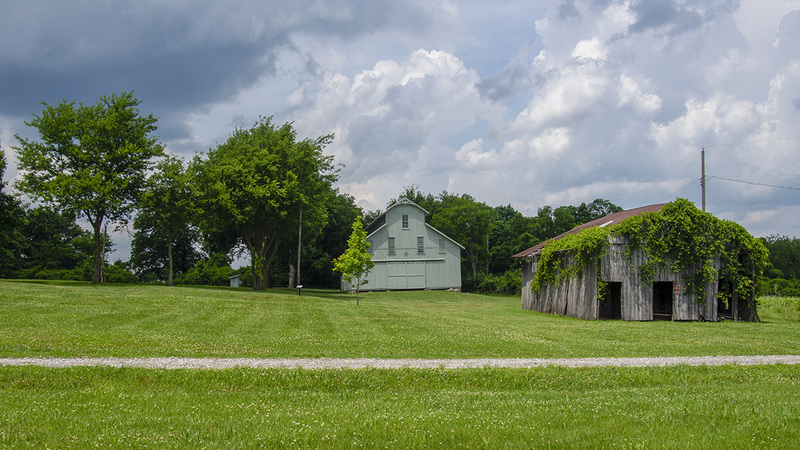 The property was sold to the Price family in 1886, who specialized in horse-breeding. 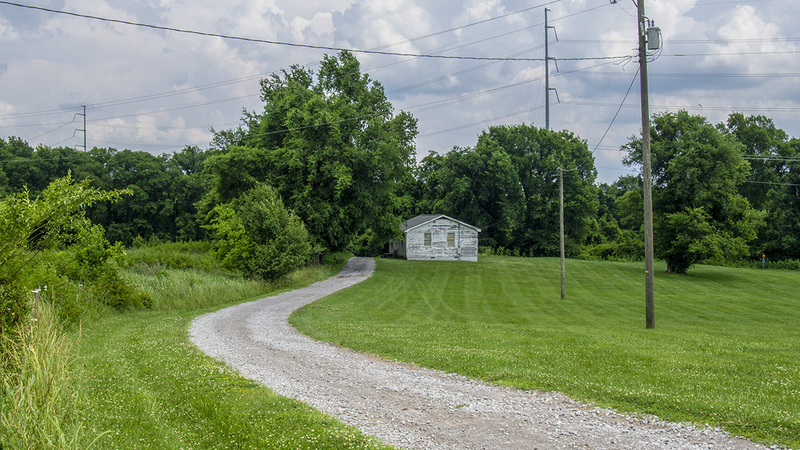 After the construction of the Lebanon Pike bifurcated the plot, the Stanford Brothers redeveloped a large portion of the land into subdivisions while running a dairy farm and cattle ranch on the remainder, which was sold to the State of Tennessee in 1948. 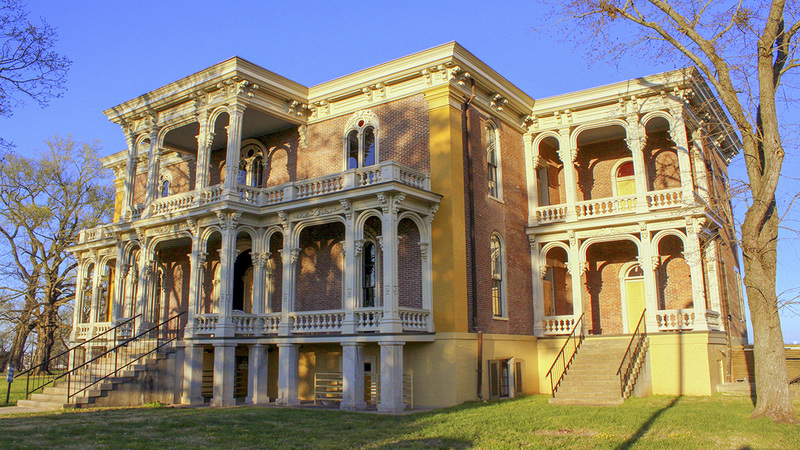 Used as a state-trooper outpost and, later, as faculty housing for the Tennessee School for the Blind, the mansion eventually fell into disrepair but was restored to house the Tennessee Historical Commission in 1994. 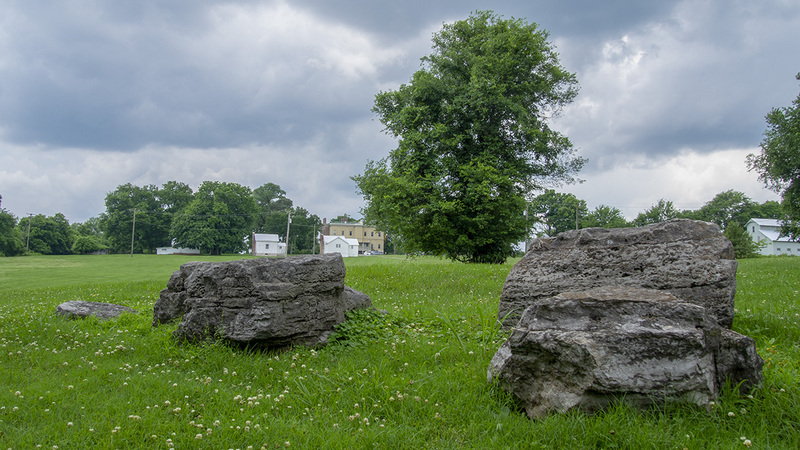 The nine acre site is accessed along a long, paved drive that leads east from the Lebanon Pike, encircling the Italianate mansion (with Greek Revival elements), which is set on a grassy knoll amid a grove of oak, maple, hickory, and fir trees. 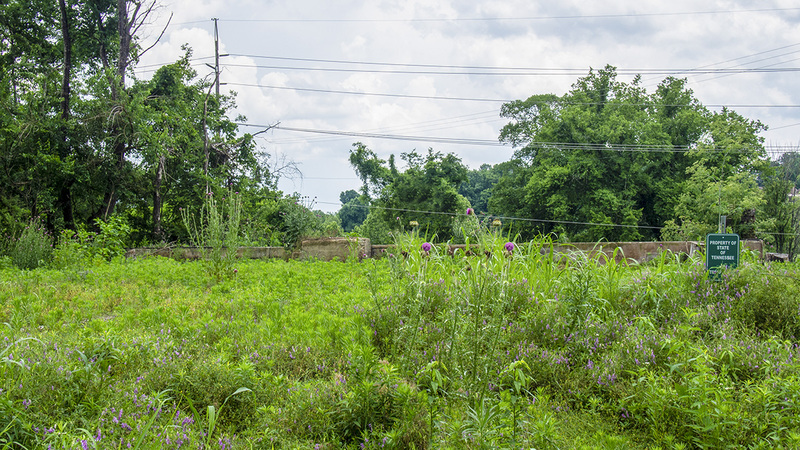 A walking path leads east from the rear of the property, eventually intersecting with the Stone’s River Greenway, which skirts the eastern edge of the parcel. Another serpentine path winds through the western section of the site, which is sparsely planted with mature oaks and wildflowers. The northern property boundary is defined by a tree line, while that on the south is edged by a thicket. 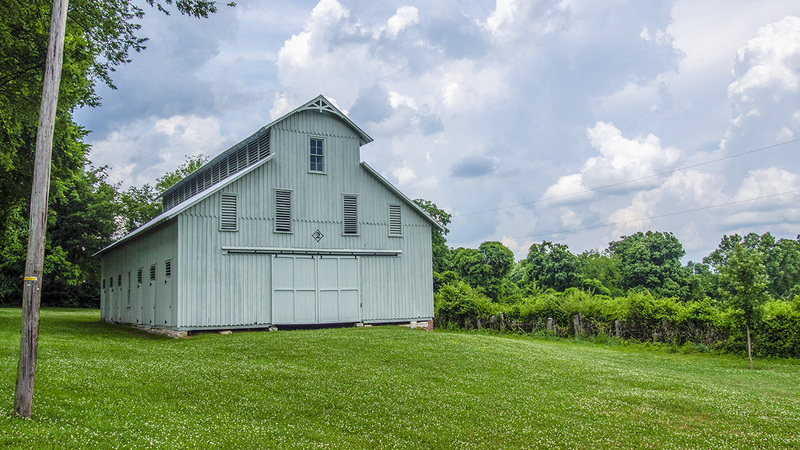 To the rear of the mansion lie a carriage house (ca.1850s) and a family cemetery, while a well-preserved transverse-crib horse barn (ca. 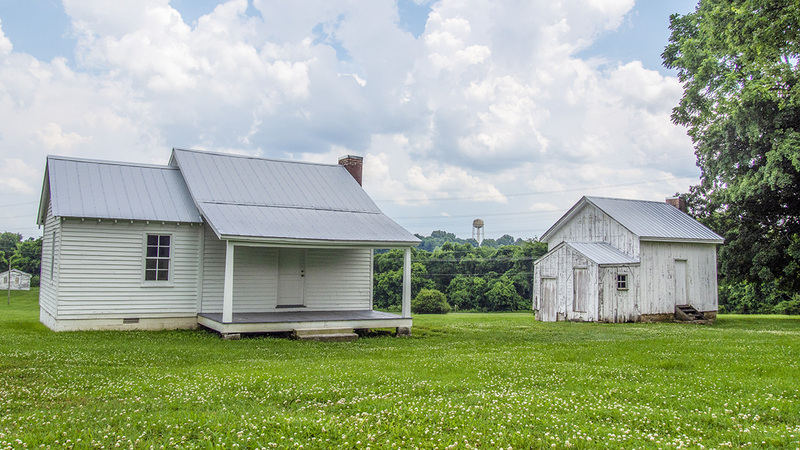 1890s) is situated to the northeast and two former slave cabins (ca.1858) are found to the southeast. The estate was added to the National Register of Historic Places in 1975.